In the last few days I came across three different news on how large companies are beginning to act on global warming and demand climate change mitigation action from global governments. The most important is the Copenhagen communiqué a message from 600 large companies – including Nike, General Electric, Hewlett-Packard, Tesco and SC Johnson – which demand drastic action from global governments. Coca Cola pledged to cut by 15 percent its greenhouse gases emissions by 2020 while selling two times more products but most importantly Dell cut its emissions by 18 percent in one single year. The Copenhagen Communiqué on Climate Change is the definitive progressive statement from the international business community ahead of the United Nations (UN) climate change conference in Copenhagen this December. It has already secured the support of over 500 companies, from the US, EU, Japan, Australia and Canada, to Brazil, Russia, India, China and South Africa; ranging from the world’s largest companies and best known brands, to Small and Medium sized Enterprises (SMEs). In just two pages, it sets out the business case for an ambitious, robust, effective and equitable UN climate framework and offers a progressive global consensus on the shape of an agreement. It warns that business will suffer if a credible deal is not reached in Copenhagen. 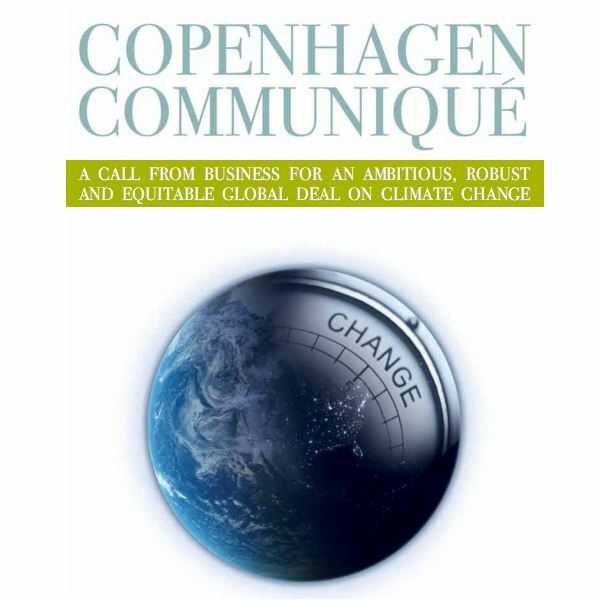 The Copenhagen Communiqué is an initiative of The Prince of Wales’s Corporate Leaders’ Group on Climate Change which is run by The University of Cambridge Programme for Sustainability Leadership. To download the text of the communiqué, click here. Dell is even going further as it decreased by 18 percent its global greenhouse gases emissions in one year. To Enerzine, quoting the company’s Corporate Social Responsability page. The company cut its emissions from heating and air conditioning by 12,4 percent, a further cut of 18.8 percent in electricity thanks to renewables and last but not least a 30 percent reduction as it used less planes for transportation. This shows that once a company committed itself to action, it can reaches impressive goals. Coca Cola has also begun decreasing its water use and greenhouse gases emissions. All this is another good omen for climate change mitigation and I believe it is just the beginning. Great to see this dramatic shift in mindset from the world’s leading businesses. Don’t think there was this level of engagement at Kyoto! Thanks Ryan and welcome here ! I hope you will keep reading this blog and most importantly keep on enjoying it ! This post is just the conclusion of a series on how businesses around the world are changing and begin to include climate change mitigation in their actions. I noted last week that investors demand strong climate change action. I am confident we will rise up to the challenge. Stay tuned for more !